The Hudson River Watershed Alliance, based in Delmar, New York, seeks a dynamic and highly motivated Executive Director with a passion for watershed protection / restoration, and the desire to lead a small, growing nonprofit to the next level. As the region’s leading organizer of educational and networking events, the Hudson River Watershed Alliance reaches hundreds of citizens, professionals and elected leaders annually to build the capacity for protection and restoration of streams and rivers in the Hudson’s 13,000-square-mile watershed. This position is currently being offered as an hourly Independent Contractor position. We anticipate after an interim period to transition the position to full Employee status, which may be hourly or salaried, but will include statutory and fringe benefits. At this time no health or retirement benefits are being offered. The position is full time, approximately 35 hours a week, year-round, with the normal work week of Monday-Friday. Some nights and weekend work will be required sporadically. As an Independent Contractor the candidate will have some flexibility to manage their own schedule to accommodate personal/family responsibilities, and allow for (unpaid) time off. HRWA does not have an office. The candidate must be able to and comfortable with working from a home office or other location of their choosing. Basic office expenses are reimbursed by the Alliance. The position requires frequent travel throughout the Hudson River watershed, primarily in the estuary portion of the watershed from Albany to NYC. The candidate must be comfortable with this and maintain adequate personal transportation. Mileage is reimbursed by the Alliance at the federal rate. The position will be paid hourly at a competitive rate commensurate with experience. HRWA is a nonprofit organization, launched in 2004 and incorporated in 2010, working to support and unite the people and communities who are protecting the streams and tributaries of the Hudson River.The Alliance’s goal is to provide the education, resources and tools these groups need to advance the protection and management of their water resources. The Alliance does this by offering services such as technical support, resources, peer contacts and opportunities to connect and learn about regional watershed issues. 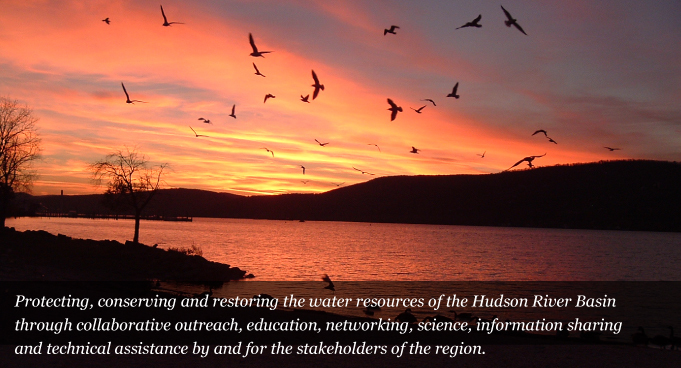 The Alliance aims to create a network of information, innovation and effective stewardship across the Hudson River watershed. The Alliance currently has 10 board members and serves approximately 25-30 active groups working on watershed issues in the Hudson River region. The ideal candidate will have a blend of skills and experiences including excellent organizational and administrative skills, a solid scientific and policy understanding of watershed issues, excellent communication and community organizing skills, and demonstrated leadership abilities. We are looking for someone with passion and a clear vision for guiding and growing the organization into the future. Reporting to the President of the Board of Directors of the Hudson River Watershed Alliance, the Executive Director will have overall strategic and operational responsibility for the Alliance programs, organizational development, and execution of its mission and strategic plan, including overseeing and maintaining daily operations, implementing programs in line with approved annual workplans and budgets, and supervising staff and consultants (when applicable). The position is ready to be filled as soon as possible with a targeted latest start date of March 1, 2019. See full job description and application instructions. Is Detroit ignoring poorer neighborhoods, or is it smart to revitalize the city’s core first?